But when Anke's work is noticed, she is chosen for a task more dangerous than she could ever have imagined. 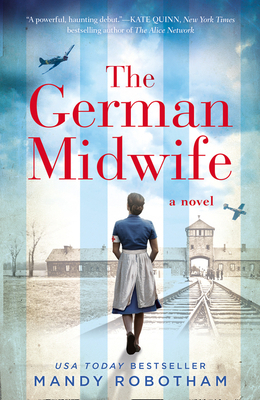 Eva Braun is pregnant with the F hrer's child, and Anke is assigned as her midwife. Mandy Robotham has been an aspiring author since the age of nine, but was waylaid by journalism and later enticed by birth. She's now a practising midwife who writes about birth, death, love and everything else in between. She graduated with an MA in Creative Writing from Oxford Brookes University. This is her first novel.